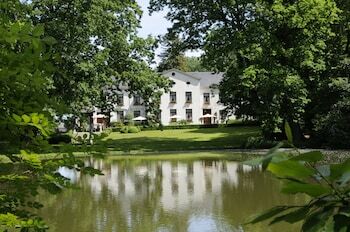 When you stay at Kasteel van Nieuwland in Aarschot, you'll be 15 minutes by car from Horst Castle. Featured amenities include dry cleaning/laundry services, a 24-hour front desk, and luggage storage. Free self parking is available onsite. When you stay at Domaine du Château de la Neuville in Huy, you'll be 7 minutes by car from Citadel of Huy. The front desk is staffed during limited hours. Free self parking is available onsite. ApartmentsApart Brussels offers accommodations throughout the area in Brussels. Featured amenities include multilingual staff and luggage storage.